Noticed the Lady in the Meat Mkt at Brookshire Bros was just standing around so I asked her if they had any Dino Ribs/Beef Ribs. She said she would go back and ask and then came out with these SEE PICS. 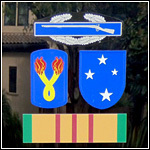 As Sgt. Swartz would say "I know nothinggggggg" when it comes to cooking beef ribs on the Pit so did I get skerrrrruuuuudddd or will these cook up OK? NOW, I need a PLAN - - charcoal? pellets? marinate? RECIPE?????? Re: OK, now Wut ? We did some like those with mustard/rub routine the same way we did pork ribs and they came out Great. My vote says lump but that's just me. Use your favorite rub and smoke. I smoke em at 240-250 for 6-7 hours. Beef ribs that size take a while but they are worth it. I bet your pellet cooker would do a great job. If it were me I'd season em with salt, black pepper and garlic, put em on the smoker at 275 (with some oak and/or hickory) and let em go till they're done- probably 5-7 hours. I don't wrap mine. You can spritz em with 50/50 blend of oil/vinegar (about every hour or so) to keep em moist. Just as good as a steak! thanks, Gents, what internal temp do I need to look for? also would you trim the fat cap and if left on up or down during cook??? egghead wrote: Use your favorite rub and smoke. I smoke em at 240-250 for 6-7 hours. 4 bone beef plate ribs (3-5 lbs.). Salt the ribs to taste – there is no salt in the rub. Let the ribs sit overnight. Apply a light coat of yellow mustard. Apply a generous amount of rub. Place on the smoker at 275 degrees for 6-8 hours, or until done – probe tender occurs around 195-205 degrees. Mix the ingredients together in a bowl. Store the rub in a sealed jar up to a year. OldUsedParts wrote: thanks, Gents, what internal temp do I need to look for? also would you trim the fat cap and if left on up or down during cook??? Unless the fat cat is more than 1/4 inch thick I wouldn't worry about trimming any fat. Most of it will render down. Generally I lay the fat cap towards the heat. If your heat comes from the bottom I'd say fat cap down. If you have more heat coming over the top I'd say fat cap up. CaptJack wrote: [quote=&quot;egghead&quot;]Use your favorite rub and smoke. I smoke em at 240-250 for 6-7 hours. WOW. Those are strong. 225 for like 7ish hours.